Stainless steel intonation screws for American Fender® Stratocaster®. 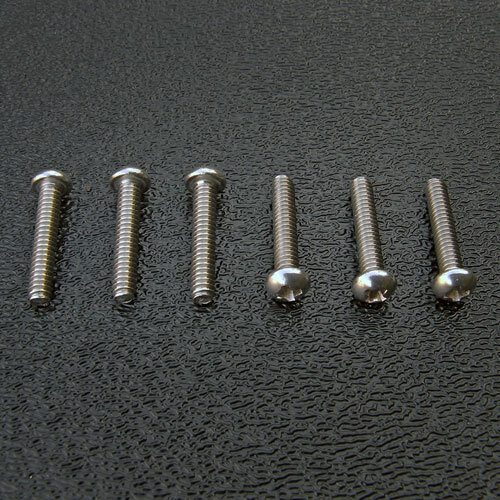 Same as original Fender® intonation screws, but these are stainless steel. These won't rust or corrode like the standard steel screws that came with your Strat.